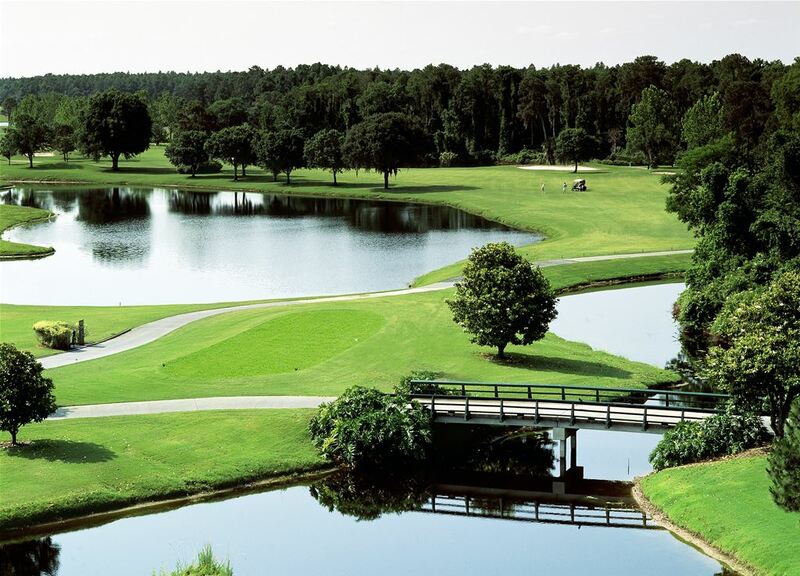 Enjoy 3 Nights and 3 Rounds at Orange Lake in Orlando. 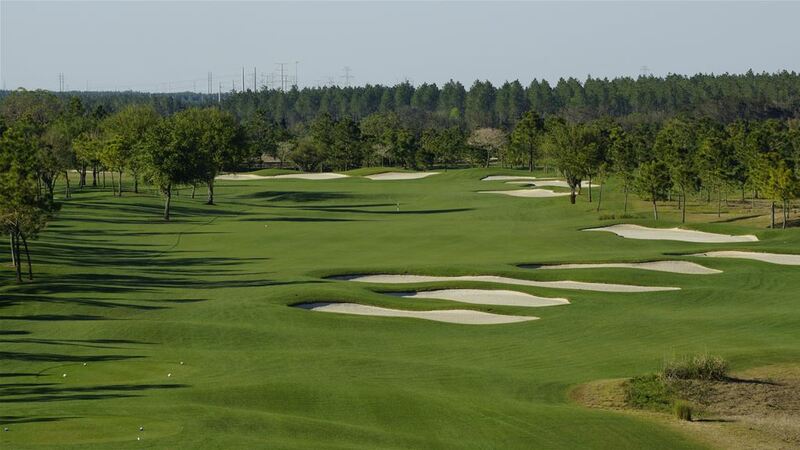 Play Orange Lake National Crooked Cat and Panther Lake and Mystic Dunes. Crooked Cat has significant elevation changes and has a links-style look. The Panther Lake course features natural pines, wetlands, and lakes. Mystic Dunes has rolling sand dunes, large oaks and beautiful wetlands. Stay in a villa at a resort with 9 restaurants, pools, tennis, and more. 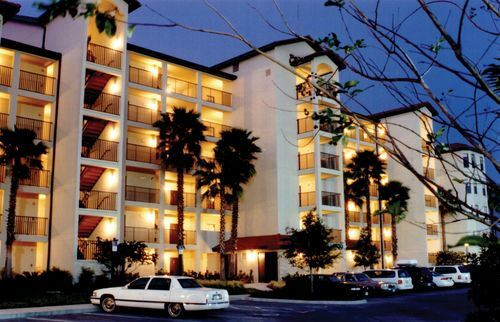 The villas are at the Holiday Inn Club Vacations at Orange Lake. Price is based on 4 golfers per villa. Holiday Inn Club Vacations Resort offers spacious one, two, and three bedroom villas to fit your Florida Golf Packages vacation group. This Orange Lake Resort is close to all you need on your golfing vacation. You will find a luxurious resort on over 1,450 acres with 9 restaurants and dining options, 4 golf courses, 1,200-foot lazy river, 12-acre water park, 80-acre lake for water sports, 7 swimming pools, 4 water slides, 3 arcades, 19 poolside cabanas, 3 fitness facilities, 4 racquetball courts, 6 tennis courts, 2 basketball courts, 1 playground, a kids center and more. 2 bedroom villas have 1 king and 2 queen plus a pull-out, while the 3 bedroom villas have 1 king and 3 queens with a pullout. 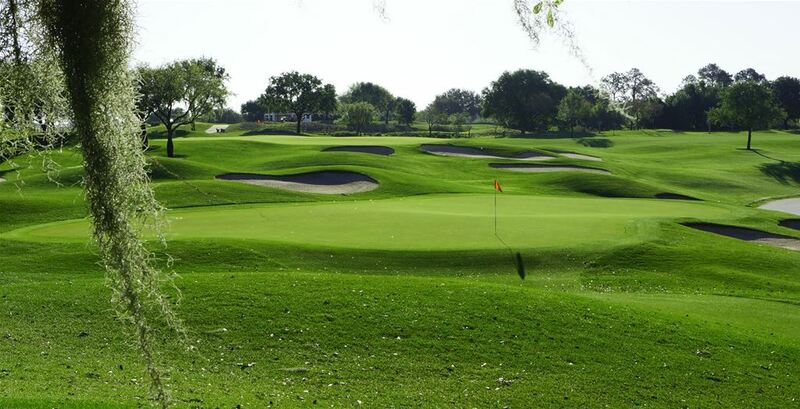 Mystic Dunes Golf Club is a Gary Koch design 4 ½ star rated par 72 18-hole course. This course features greens like that of Augusta National with rolling sand dunes, large oaks, and beautiful wetlands. You will find a front nine that is a classic Carolina style, while the back gives you a British Isles links course experience. Stay at Holiday Inn Club Vacations Resort in a 2 or 3 bedroom Luxury Villa. You will find a luxurious resort on over 1,450 acres with, 9 restaurants and dining options, 1,200-foot lazy river, 12-acre Water Park, and much more. 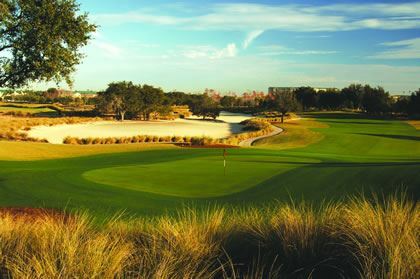 Golf on some of the best courses in the Orlando area! Start off with an afternoon round at The Legends at Orange Lake Resort. This course was designed by Arnold Palmer and was built in 1998. Also included in package is option to play Disney golf courses.